For 2019, there aren’t many updates on the Toyota 4Runner. That being said, there is one very exciting addition to the 4Runner lineup—the Nightshade Special Edition. 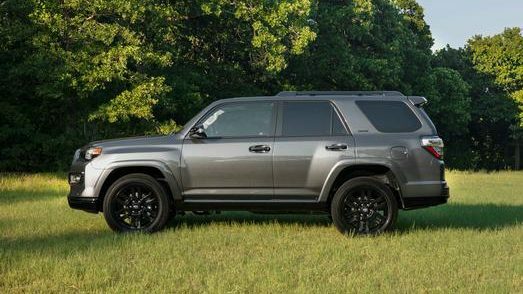 A new twist on the Limited grade, the Toyota 4Runner Nightshade has some impressive elements that set it apart from the crowd in more ways than one. Come along with us as we explore the features of the 2019 4Runner Nightshade compared to the standard 4Runner Limited model. You may also like: What’s the difference between Toyota 3-row SUVs? 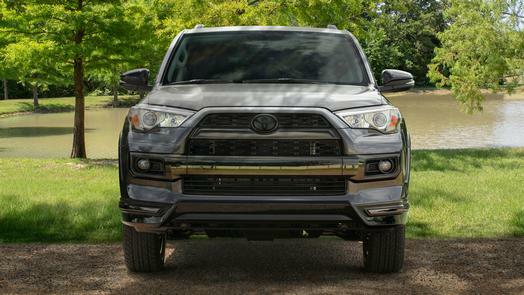 On the outside, the 4Runner Nightshade features black accents throughout—more specifically, on the spoilers of the front and rear bumpers, side mirrors, door handles, windows, roof rails, rocker panels, doors, and badging. The front grille has black chrome moldings fitted on the slots, and the rear exhaust tip keeps the black theme as well. The 4Runner Nightshade runs on sleek black 20-inch wheels. 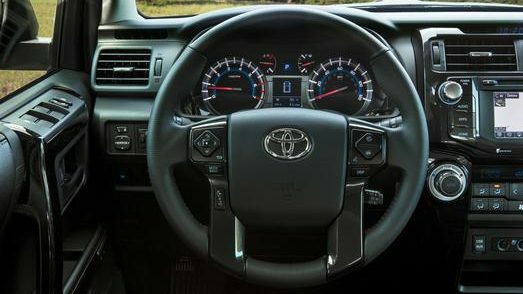 The interior of the 2019 Toyota 4Runner Nightshade continues the black-accented look with black trim on the steering wheel, center console, shift knob, and door grips. For the Toyota 4Runner Nightshade Special Edition, drivers can choose between Limited 4×2 and Limited 4×4 grades in addition to three select colors—Midnight Black Metallic, Magnetic Gray Metallic, and Blizzard Pearl. Read more: What are the color options for the Toyota 4Runner? Stay tuned for additional details about the 2019 Toyota 4Runner as well as the Nightshade Special Edition. In the meantime, we invite you to check out our current 4Runner inventory at Toyota Vacaville and schedule a time to get behind the wheel at your convenience. When will the 2020 Toyota RAV4 TRD Off-Road be available? This entry was posted on Wednesday, October 3rd, 2018 at 4:28 pm	and is filed under Comparisons, New models, Toyota 4Runner. You can follow any responses to this entry through the RSS 2.0 feed. You can skip to the end and leave a response. Pinging is currently not allowed.